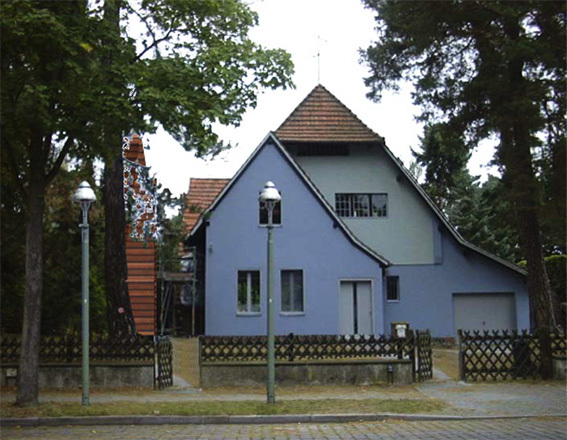 The Telematic House is an addition to an existing house with its purpose as a media space being to house the activities of ‘den Telematischen Bürger’ – the client – that range from writing books on contemporary art to chopping wood in his garden. Telematic, a word with greater currency in German than in English, literally means to ‘make distance’. With the twentieth century’s continuous development of, and perpetual fascination with, telecommunication and information technologies, the idea of distance is undergoing renewed compression. Mobiles and the Internet have compacted the world: on planet-e transglobal communication has never been cheaper or easier. Advances in IT have compressed the space of writing: all books, for example, published prior to the twentieth century can now be stored on just one compact disc. Whilst text as represented by the book will endure, how we write is changing: the electronic text is promoting a word-wide-web! Where texts are written in Photoshop and drawings made in Word. 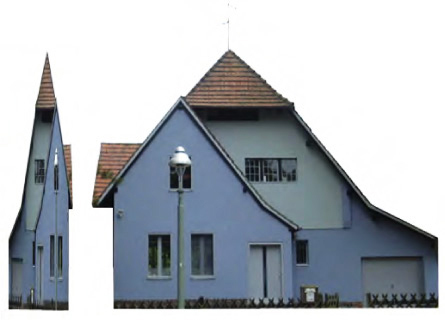 The Telematic House is a facsimile of the existing house’s geometry except for being compressed in one dimension (width). The 1m void between the existing house and the Telematic House forms a gate to the garden offering a vista to the woodchopper-writer. 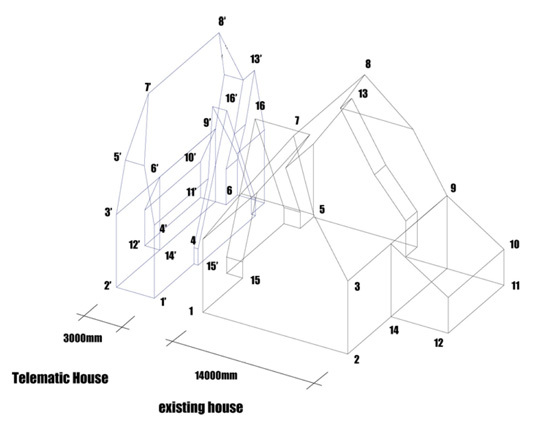 The Telematic House is naturally made of timber.